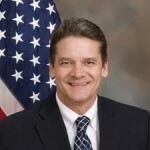 Blaise Trettis was elected Public Defender for the Eighteenth Judicial Circuit for Brevard and Seminole counties in 2012. Mr. Trettis’ commitment to serving the public is demonstrated through both his work in the legal profession and his volunteer work in a wide range of community service organizations. Mr. Trettis graduated from the University of Florida with honors with a bachelor degree in business administration. He then went on to graduate from Stetson University College of Law, the first law school established in the State of Florida. In 1987, Mr. Trettis moved to Brevard County where he took a job as assistant public defender. The cases he has taken to jury trial include first degree murder, and he has argued several cases before the Florida Supreme Court. He has served on the Florida Supreme Court Committee on Standard Jury Instructions in Criminal Cases. Mr. Trettis serves on the Crosswinds Youth Services Juvenile Assessment Center Advisory Board; the North/Central Brevard Salvation Army Advisory Board; the Florida Assertive Community Treatment Team Advisory Board; and the Brevard Achievement Center Board of Directors. His involvement with civic organizations include the City of Cocoa Beach Landscape Committee, the Rockledge Rotary Club and the Brevard County Civilian / Military Community Relations Council. Mr. Trettis has been married for 28 years to wife Jill, and they have three children. The services of the Office of Public Defender are not available merely by asking. The Public Defender must be appointed to represent a defendant by the Court.